The Hubster and I enjoying a lovely summer evening together. I have my grandmother’s feet. Thick, wide, nearly always barefoot. And I wouldn’t have it any other way. They’re a sweet reminder of the woman who always had a homemade treat waiting for my sister and I when we’d get home after school. The woman who perfected the art of the homemade potato chip. The woman who always had hugs aplenty, and who hid her red-covered Harlequin novels under the cushion of her favorite mustard-yellow chair. But sometimes these feet of mine get gacky. Being barefoot so much means dry, rough, calloused feet. And for me, finding the time to regularly make it in for a pedicure…well, it just doesn’t happen. Too many other things have priority on my time. 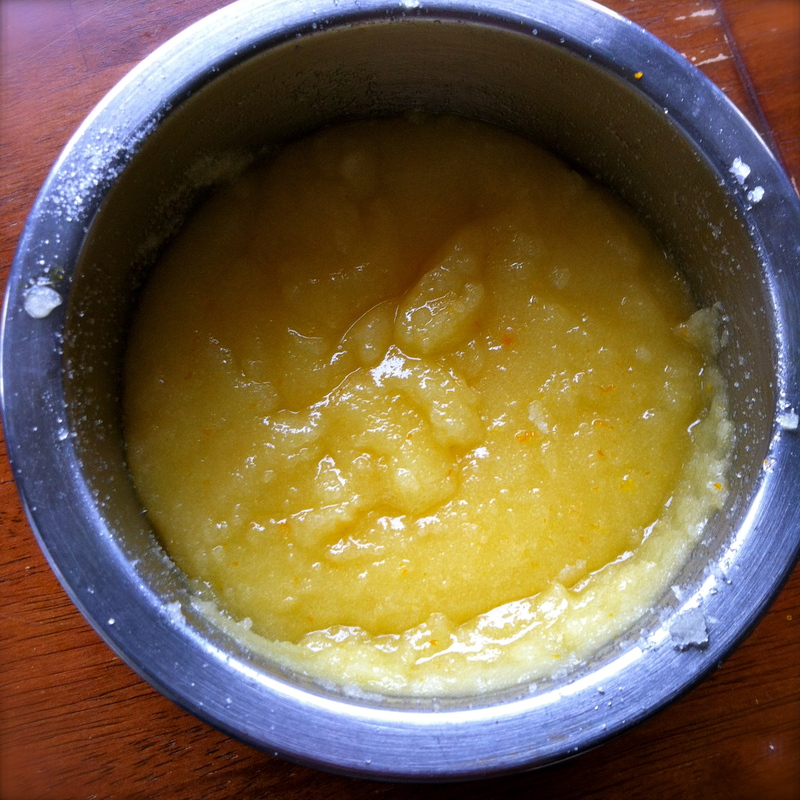 The other day while I was bemoaning the mildly disgusting condition of the soles of my feet, I came across this blog (via Pinterest, of course) for a recipe for a homemade hand scrub. I bookmarked the website under “Blog Stuff” (which is code-name for I’ll-probably-never-look-at-it-again) and promptly forgot about it. Even minus the hair, it’s not a pretty picture. Blarrrrrrg. I needed a pedicure. Badly. But it was rainy outside. I love the rain, but I wasn’t in the mood to be out in it. Not to mention, it was laundry day. Which meant the only clothes I had that were clean could be described as Nouveau Hobo. Oh, yes. The holes in the armpits of my very favorite slum-out t-shirt are the epitome of awesomesauce. I needed an in-home solution for my Hobbit’s Feet. And suddenly I remembered that blog post. Also, her recipe called for lemons, but I was out of freshies. Enter a sad little orange a bit past its prime sitting on my counter. It now had a different fate than being tossed in the trash. Once it was mixed and the kitchen tidied up, off I went to my bathroom to try my new homemade scrub out. My scary hobbit feet were no more. 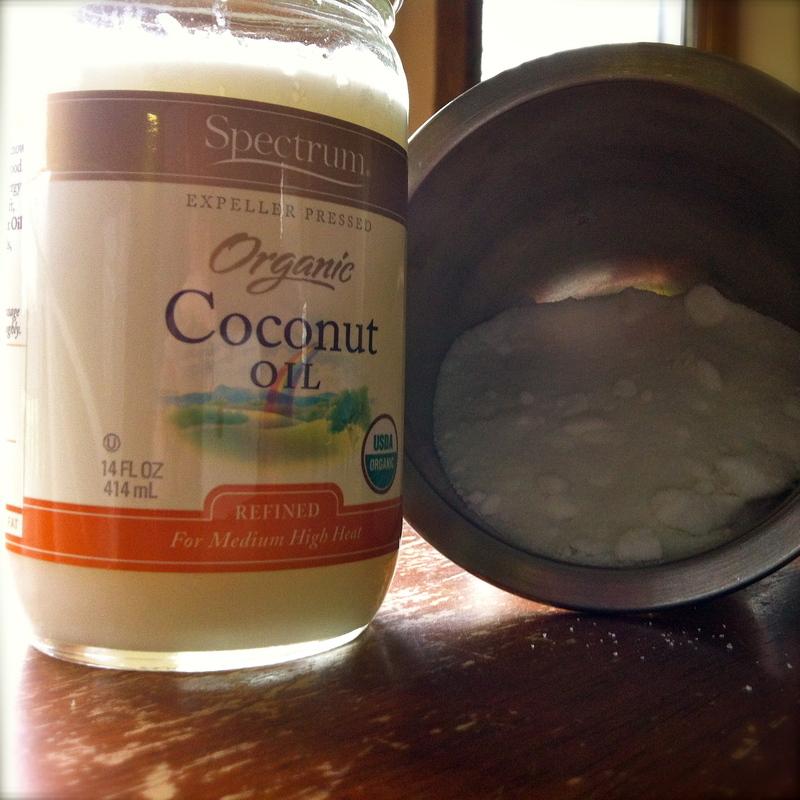 All the rough skin was gone, and the coconut oil softened them fabulously. And of course, my hands benefitted equally – they were soft and moisturized and lovely. The only thing I think I would have done differently is to have made a little less. Since it’s all food-based ingredients, it can spoil, and I don’t know that I’ll get through it all before it goes bad. But, it’s a recipe that would be easily halved, and I’m hoping that keeping it in the fridge will increase it’s shelf life. And I really dig the idea of making a batch to give away in pretty little jars. What a lovely gift it would make! What kind of homemade beauty remedies do you use? Think you’ll give this one a go? C’mon, share your beauty secrets with the rest of us! I think I tried that one, more or less! Takes more than that to get the second (tenth) skin off my feet though. I use honey on my face sometimes in the bath for a mask, that always feels good, esp when it comes off! SQUEE, Myndi! How is baby Took? The awesomesauce in this post is that you can again see and touch your tootsies. Clever you! I’ve copied and printed your magic potion and will give it a try. Amazing. I am totally going to try this out!! LOVE it! Glad you found something that works for you. Think I’ll stick with pedicures, though. Love being pampered. I never thought to use coconut oil, but that would be awesome! 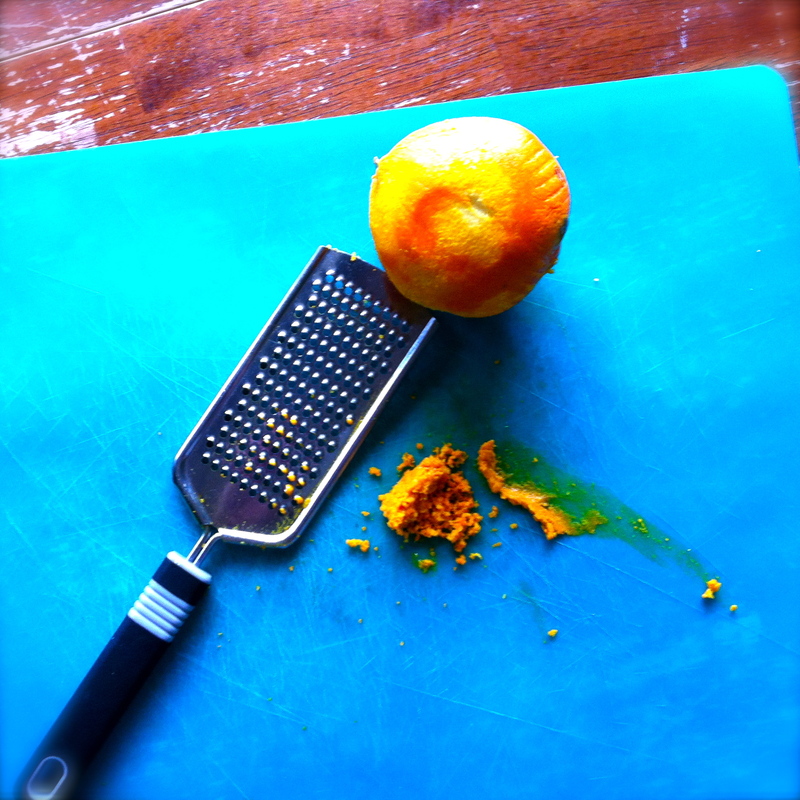 I’ve tried something like this with olive oil before, but the added orange (or lemon) juice would give it just the right acid. I am so going to try this tonight! Omigawd yum!!! I’m obsessed with anything coconuty! Must try this! I love to buy sugar scrubs… I need to try this! !